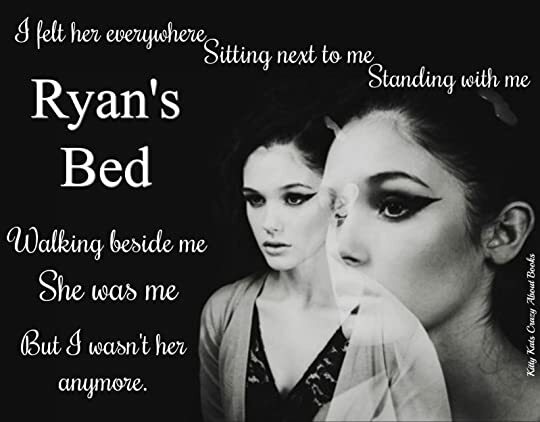 RYAN’S BED: is a stand alone YA romance novel by Tijan. Spoken in Mackenzie's own words. This author has a magical way of cloaking her readers in a safe sense of security until the rug is literally pulled right out from under you. The very first chapter reeled me in so fast, like a fish on a hook I was completely hooked, then when I realised exactly what my eyes were reading my heart just dropped. But like a glutton for punishment I had to keep on reading. Mackenzie's family had just recently moved to Oregon due to their father getting a promotion so what should've been a happy time was shrouded in mourning. A family cut to the bone. Because what would've been a day of celebration on June 29th between twins on the day of their eighteenth birthday was anything but because Willow had decided to end her life and Mackenzie was the one that found her that day in their shared bathroom unresponsive. Dead. Gone. One twin left broken beyond repair. Shattered. With her parents taking care of all the funeral arrangements, Mackenzie and her brother Robbie stay at their father’s business associates home for the time being until the the most saddest day is behind them. My insides felt pulled apart and put together wrong. Nothing felt right anymore. It is here where Mackenzie walks into Ryan’s room getting lost on her way to his sisters bedroom and literally crawls into his bed. But it’s in his bed that she finally finds solaces and can blissfully succumb to sleep. Reading this I couldn't imagine how hard it was for the two siblings being entrusted into strangers care, a family they didn't know. My heart broke to smithereens for these two. Ryan became her safety blanket out of everyone he seemed to understand what she was going through the most. Leaving his family and moving into a second new home after selling the other new one Ryan and Mackenzie texted daily until high school started back up, starting a new school and the last year of high school at that was another low blow for Mackenzie without her twin beside her but Ryan was beside her every step of the way. He shielded me, protected me. My head was above water with him. Without him I would sink. 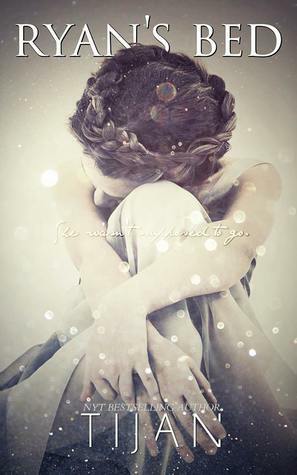 Ryan came across so much older than his eighteen year old self in this book, he was her rock when she needed someone, her shelter when things got bad, this was so much more than your typical ya romance novel, we saw so many layers of Mackenzie, the broken girl, the lost girl, the numb girl but above all else the strong girl. As to be expected when dealing with this age group and the Queen of high school drama Ryan’s bed is no different when it comes to Tijan delivering us all the angst and heartbreak that she could unleash on us. Everything this author hoped us readers to feel, I felt, admittedly I even shed a tear or two, then the ending rushed at me and I sat there shrouded in sadness. This book gutted me on so many levels.